Sitting just a 45-minute drive or a half-hour train journey from Amsterdam, Zandvoort is a popular seaside resort with a permanent population of around 15,000. Popular though escape rooms are in the Netherlands, I have to imagine that Escape Room Zandvoort relies heavily on tourists as customers. The first thing to mention is that they really do expect you to arrive early. In my experience, very few games start at the scheduled time, and we’ve spent a lot of unhappy hours waiting in escape room receptions for previous teams to finish, so we tend to turn up for the exact start time. A few minutes before that, we got a very grumpy phone call from the GM asking why we hadn’t arrived. Yes, they do say in the email that you should be fifteen minutes early, but I still think that first contact could have been a bit more positive. They weren’t much better when we arrived but, by the time we’d escaped their first room and got back on schedule, everything became a lot friendlier. Their waiting space is pretty, looking more like a café than an escape room (which, given they serve coffee, perhaps isn’t as far from the truth as I first thought). While you relax, you can admire (covet?) the t-shirts that are on offer if you complete all three games successfully. They’ve also got the best photo setup I’ve seen anywhere: as well as the usual impressive camera equipment, there’s a green screen so that they can superimpose your pictures on interesting backdrops – F1 racing pictures, mine cars or fishing boats. It was well worth making the effort to get a decent picture for once! Two of their three games had strong links to the local area, with the Boat Trip making reference to the history of fishing in the town and the Grand Prix paying homage to the local racetrack, which is still in use and which held Formula 1 events until 1985. All three of their games were high quality and, in particular, looked great. Each had its own weaknesses, but I’d be more than happy to recommend that enthusiasts head to the venue and play a full set of games. If you insisted on playing just one – and I think you’d regret that choice – I’d very much suggest you play whichever theme you’re most drawn towards – the quality levels felt similar to me. Setting foot inside aboard this game instantly filled me with excitement. It’s not a large space, but you’re clearly standing on a wooden harbour with the sounds of the sea in the air. As the game progressed, they really managed to convey a sense of journey, giving the strong impression of going out on a boat trip. The opening puzzles didn’t match those heights, however, with relatively simple and slightly repetitive mechanisms for progressing that left our team feeling a little stalled. At the time, I’d assumed that they were trainer puzzles to make sure players were aware of what they needed to do, but I actually found the remaining puzzles to be of a very different type, so I’m not convinced that was really the case – perhaps they were just put in to pad out the overall experience? The quality of the puzzles improved as we progressed, and one set in the middle of the game really appealed to me – taking three entirely different puzzles but tying them together via a cool mechanism. It was a great example of how you can trick players in a positive way – giving them a proper aha moment that doesn’t make you feel like the puzzle was unfair. Unfortunately, that also made a part of the game that should have been parallellisable a little bit more bottlenecked. The game has a natural flow to it after the opening set of puzzles, giving you just enough help with each puzzle to have a decent chance of identifying what to do next. One thing I found interesting was that they were very happy to use numeric locks alongside plenty of high tech. I’m not sure whether that was a conscious choice to save money or just that they felt number locks fitted the theme. That said, it didn’t affect the gameplay at all, and it showed that it’s perfectly possible to put several numeric codes in a room without any problems. As the game reached its conclusion, it became more mixed. I was disappointed with the quality of the puzzles at times. A couple felt weak to me, and the final challenge was a bit tedious. They’d tried to involve the whole team but, with four of us, two were relatively bored and one not involved at all. Even the person who took point wasn’t truly excited. That said, the finale of this game is all about the theatre they manage to create, and on that front they excelled themselves, producing a memorable thematic experience that will far outlast any frustration with the mechanic to get there. As soon as we walked into this room, I knew I was going to enjoy it. Well decorated cave/mine themes are cool places to be, and this didn’t disappoint. They’ve made efficient use of the space available to genuinely make you feel like you’re weaving your way through some underground caves and add a little remoteness to the experience. This shouldn’t be underestimated, because not being able to see the entry door during the game definitely improves the immersion. The one thing I found a little bit strange was that, halfway through, you come across a display that feels more like you’re in a museum than a mine – I never quite worked out why they’d made that choice, because it really didn’t seem to fit the rest of the theme. Before you enter the room, you have to choose one person to be the team leader. You all get torches on your helmets (yay! ), but the team leader gets one with UV. While I understand that makes things a little more interesting, it also caused frustration at times, because it led to bottlenecking. When we realised that the most likely thing we’d missed was a UV clue, we had to wait with our torches switched off/hidden while the team leader performed a painstaking search. Personally, I don’t think it would have hurt proceedings to give everyone both torches. There were some interesting hands-on puzzles in this game, but also a few we found confusing. Sometimes that was deliberate, with the puzzle trying to trick us into doing the wrong thing, but on other occasions it was just due to poor instructions. We took a clue at one point because we’d spent ten minutes trying to perform what felt like a simple task. We’d each managed to decode some part of it but couldn’t manage to put it all together. While the clue didn’t tell us anything new, it was enough to push us over the line – I’m not sure if that shows the instructions were too confusing or that we were too quick, individually, to give up. The final moments in this game fit the story beautifully and, while the challenge you solve at the end is a little bit trial and error, it’s still a fun and thematic way to finish the game. Walking into the room, you could be forgiven for thinking that it would reach nowhere near the level of the previous games. Visually, it’s quite a disappointment, as well as being a bit dingy. Even ignoring the lack of excitement in the visuals, I didn’t find the room engaged me – I wasn’t drawn to the puzzles or excited by them. Fortunately, things improve steadily during the experience and while, compared to the other games, this one never looks as impressive in terms of decoration, it more than makes up for it in the quality of the props. Another area where it’s lacking is that there’s no strong sense of journey like there was with both the Gold Mine and the Boat Trip. Again though, the way in which you interact with the room helps to make up for that. I love games where moving round the space (or even moving the space!) is a critical part of the game. Here there were a few times where we really interacted with the room in a very physical way, and one of those was a brilliant idea that, thematically, was a perfect fit. While there were certainly puzzles you could easily transport to other rooms with only minor alterations, there were several that were absolutely room-specific and that felt like they’d been purpose-made for this room. The standard of puzzle was generally reasonably high, but I was disappointed with a couple. Poor lighting and colour was once more the bane of our existence, while another puzzle had ambiguity that resulted in a fair amount of frustration trying to get the right answer even once we’d worked out what we were meant to do. The ending to this game felt like it could have been so much better. I’m not quite sure what the right finish should have been, but getting us to phone the police with the name of the guilty party was a bit of an anticlimax. I always think that style of finish is weak, but it was doubly so here because the phone meant only one person was involved. It wasn’t helped by some confusion with the tech that meant we really weren’t sure we’d finished properly. Game endings should always be utterly clear – the whole team should instantly know if they’ve escaped – and here it just wasn’t. 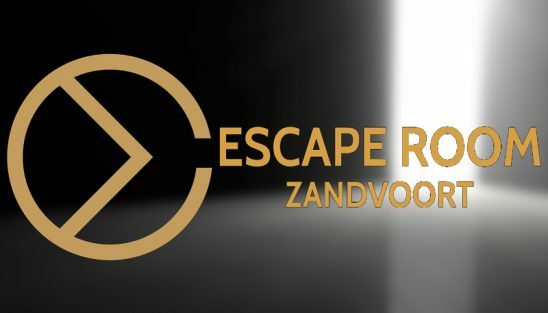 That’s all on Escape Room Zandvoort – want to read more about other local games? A link will be added here when the summary article is published at the end.